Who doesn’t love receiving gifts? (Answer: No one!) Publicists at major publishing houses sometimes create promotional packages for their most exciting books of the season. Why shouldn’t you do the same for the self-published book that you’re so excited to share? Promotional gift baskets can get readers, reviewers, booksellers, and opinion makers excited about reading and promoting YOUR book instead of someone else’s. Plus, information gift baskets can be wonderful for saying “thanks for your consideration” or “nice to meet you” when you’re approaching booksellers, promoters, or other publishing professionals. Book-themed gift baskets can also serve as giveaways in social media contests that can help spread the word about your new book release. How To Create A Book Marketing Gift Basket That Makes Your Book Stand Out! Interesting packaging. Is your book set in the future? Consider assembling your promo baskets using some kind of futuristic packaging. Writing for children? Find a box that looks like a wooden block. The way you package your items is an opportunity to reinforce your author brand. Free book. Of course, you’ll want to include a free copy (or two) of your book as part of your promotional package to give to librarians, booksellers, educators, and whoever can help your cause! Rack cards. Rack cards are large postcards that showcase vital information about you and your book. They can feature your author headshot, back jacket copy, reviews and quotes, cover art, and more. Include a few to pass around. And don’t forget to toss in your business cards as well. Promotional items. 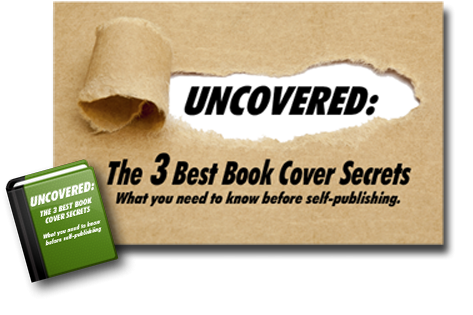 Use your book cover art to create promotional items that will keep your book’s title in front of your target audience long after the marketing promo basket has been disassembled. Pens, magnets, mugs, and bookmarks are great promotional items for self-published books. Digital freebies. To make the most of your gift basket, invite the recipient to join you on social media, your website, or your email list. A smart way to encourage visits to your author website is to use digital goodies like these. Offer “hidden” chapters, free how-tos, or exclusive content to website subscribers, and promote that giveaway in your gift basket. Print media kit. Your media kit offers information on your book, as well as information about who you are as a writer. Some media kits include sample Q&A style interviews. Learn more about how to create a media kit. Skills Sell Sheet. Can you give a lecture on how to self-publish a book? Are you willing to talk about the unique experiences you faced in your memoir? Can you host a reading group night (complete with goodies, wine, and great conversation about your book)? Are you available for book signings, author panels, and more? Include a sell sheet that lists what you can offer your contact. If possible, include real numbers from prior events that demonstrate how successfully you can pack the house. Fun items that relate to your book. Include things that highlight the unique elements of your book. If you’ve written a children’s book about a bear, include a stuffed teddy. If you’ve written a comic sci-fi adventure, consider embracing your quirky side with Roswell-inspired kitsch. A “Thank You” gift. Along with the items that are obviously meant to promote your book, include an item that expresses your thanks. You can put a small tag on the gift that says, “Thanks for all you do for readers and for writers like me!” Your thank-you gift might be a nice coffee mug, a candle, a hand-painted wineglass, etc. Book promotion can get expensive, so be selective about who gets one of your gift baskets. Also, consider a DIY approach to assembling your book-promo basket: You can design and print your own promo materials, write your own copy, and—if you’re crafty—include handmade gifts. Finally, consider creating a “mini” version of your promotional gift basket for certain recipients. QUESTION: What other items would you recommend for a promotional gift basket?